It's time to sew pockets. This time I'll show you two methods you can use to reinforce the pocket in order to prevent the fabric from stretching out. I like and use both techniques and do not prefer one over the other, so I recommend them both. 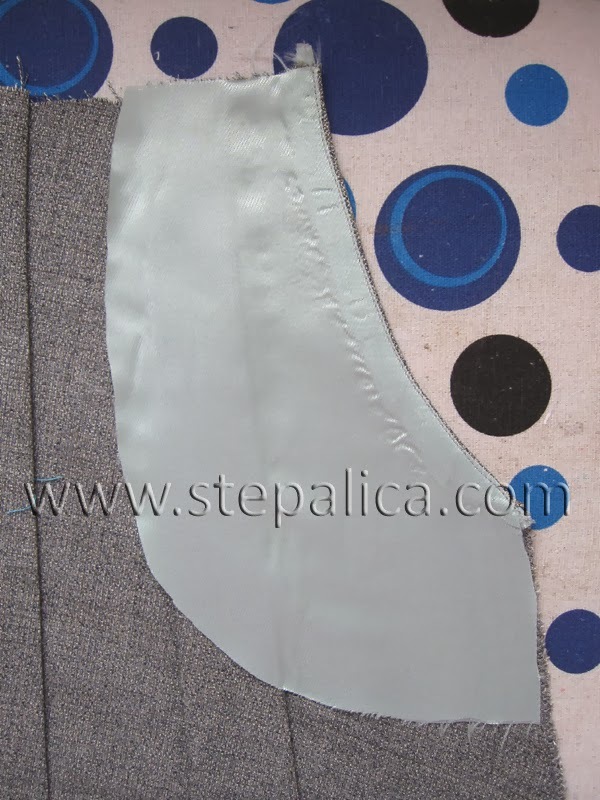 Fuse a trip of fusible interfacing to the wrong side of fabric, along the pocket's edge. The weight of the interfacing should depend on thickness of the fabric you're using - I used a lightweight interfacing on linen. 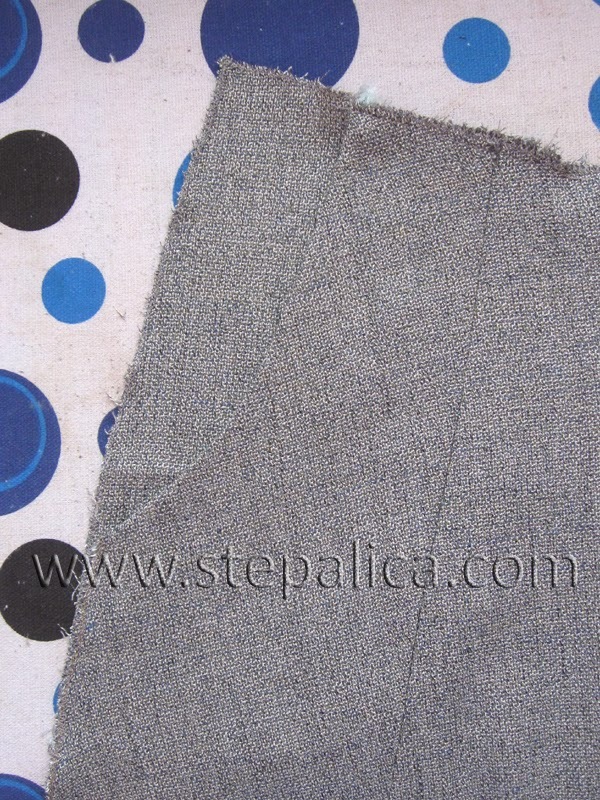 Another option is to use a lining selvage as a reinforcement. Cut a strip of lining selvage, approximately 1 cm wide and lay it over the wrong side of fabric, so that it covers the edge of the pocket. 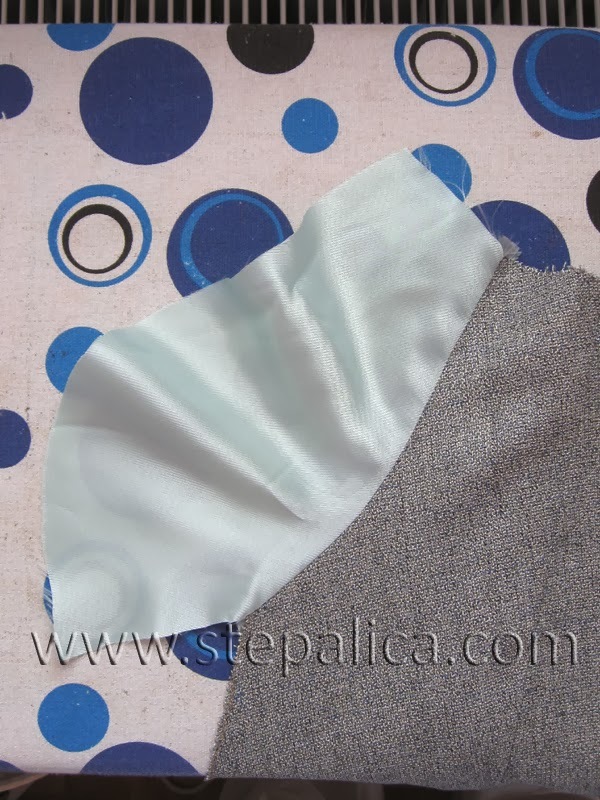 Pin the lining strip to the fabric. 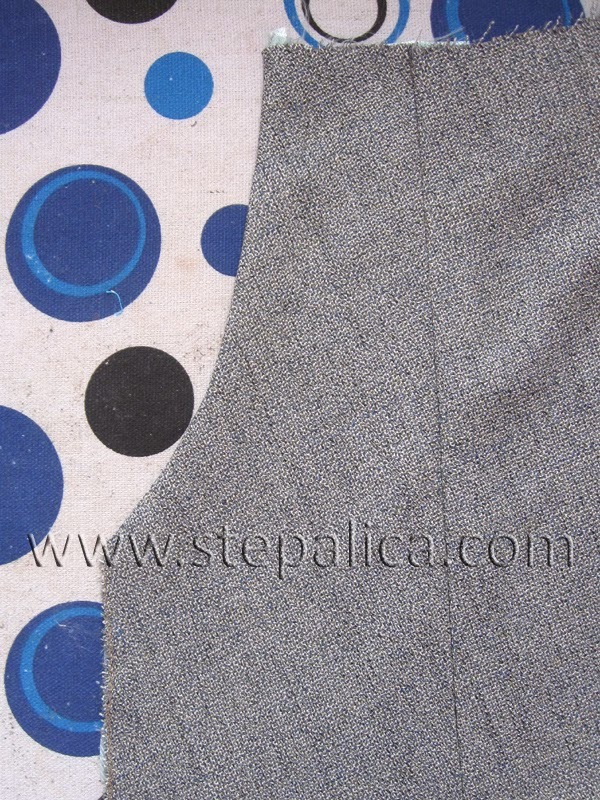 Lay the pocket lining panel over the skirt panel, with right sides together. 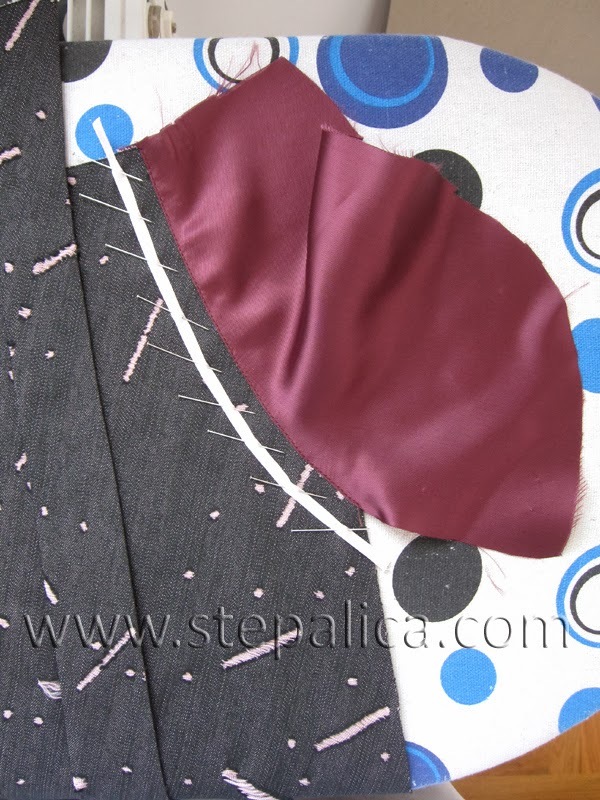 Pin the layers together and then sew them in place. 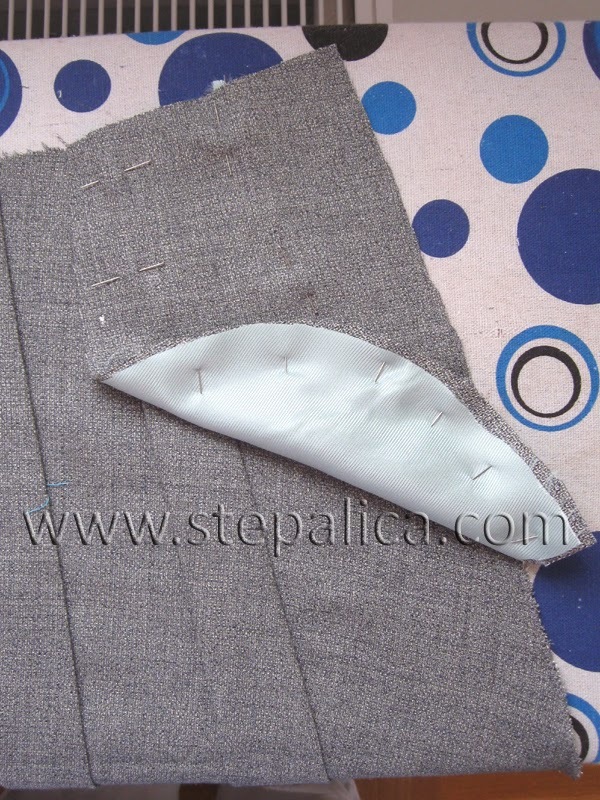 Make a series of clips in the fabric that end next to the stitch line, 2 - 3 cm apart. Press the pocket lining to the side. 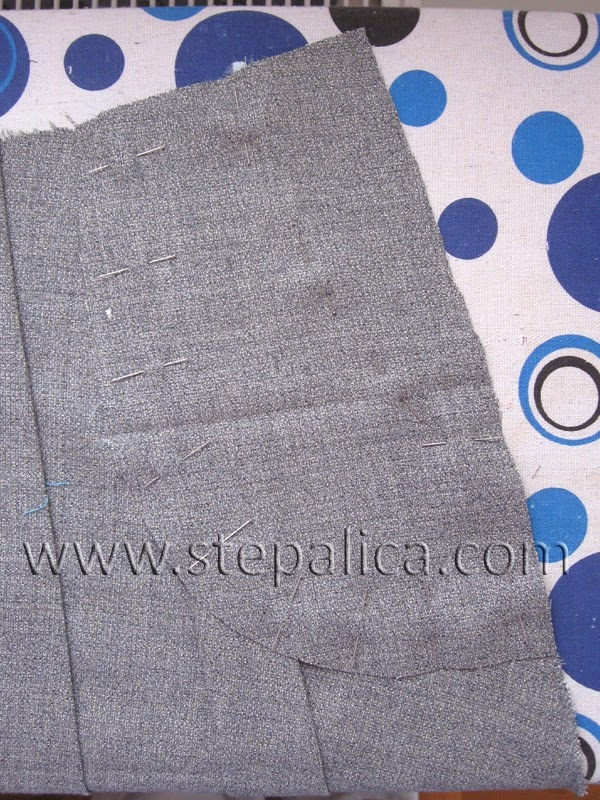 Understitch the pocket lining, stitching as close as possible to the previously made seam. 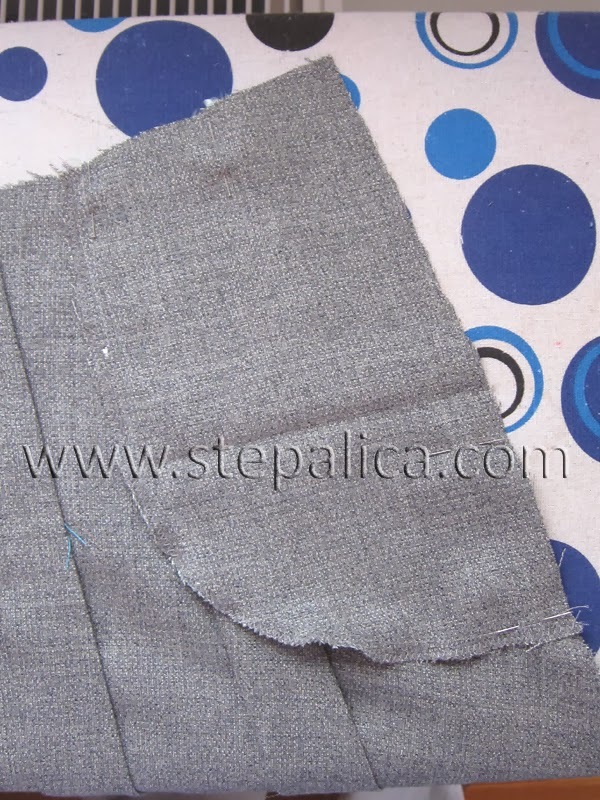 Fold the pocket lining along the seam-line towards the wrong side of the skirt panel and press the pocket along the fold line. Lay the pocket panel over the pocket lining, with right side down. 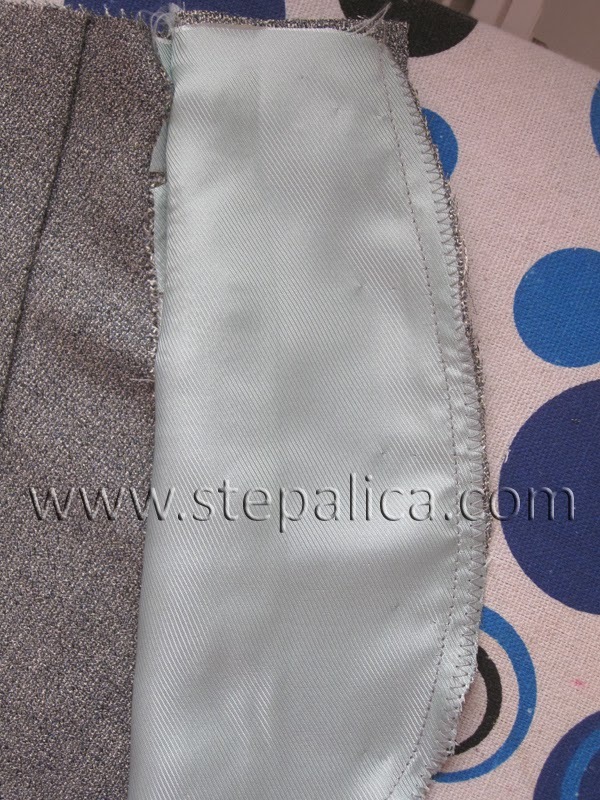 Pin the pocket to the pocket lining, making sure you don't pin the skirt panel with it. 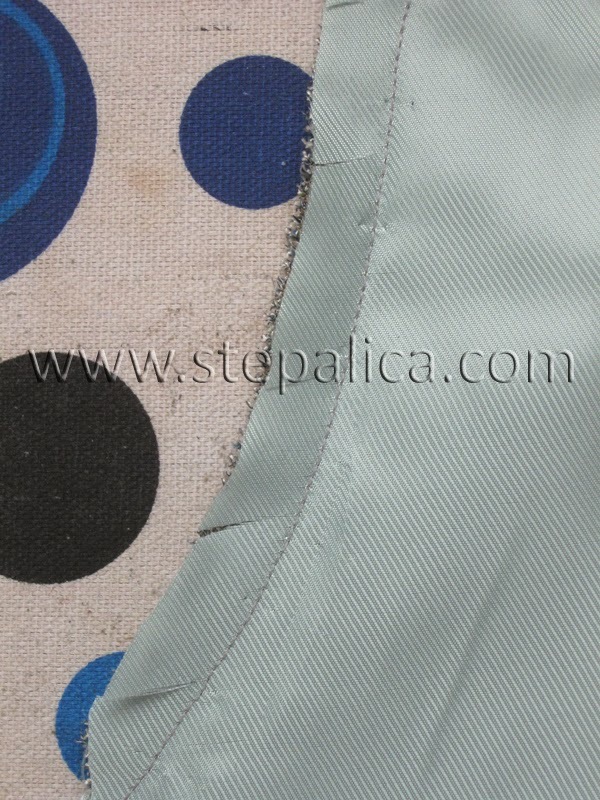 Sew the panels together and serge the edges. 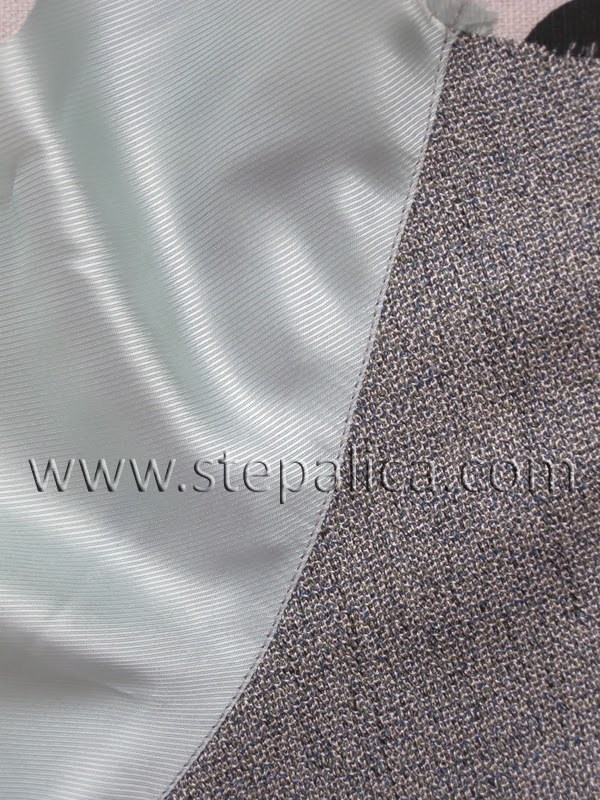 Here's how the pocket looks from the right side of fabric. 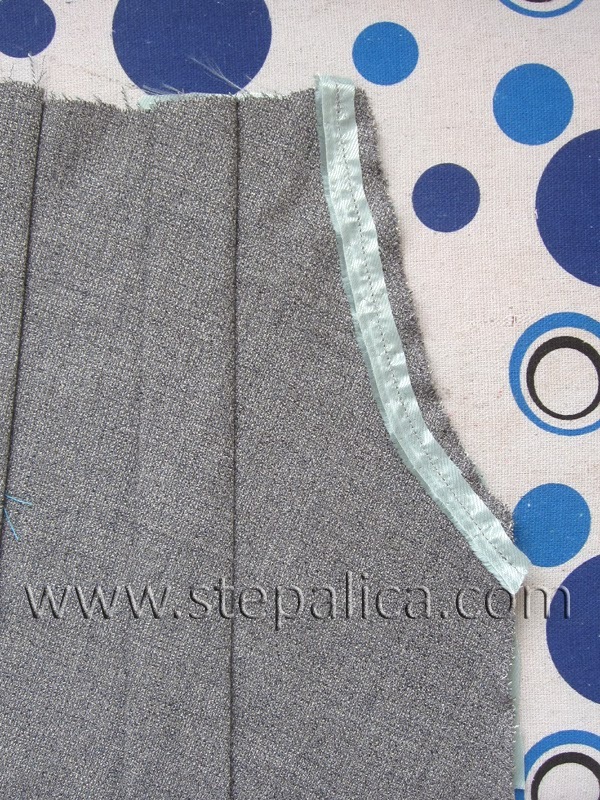 Baste or machine stitch the side and the top edges of the pocket to the skirt panel to make the further sewing easier. 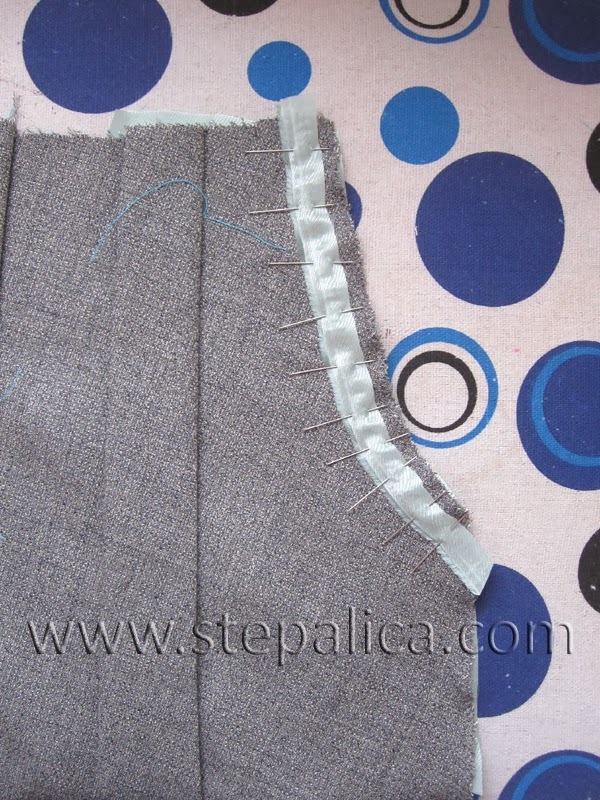 If you'd like to sew on a trim band along the pocket edge, like I did on the skirt A, it's best to do it after the pocket lining is attached to the skirt panel, but before the pocket panel is sewed to the pocket lining. 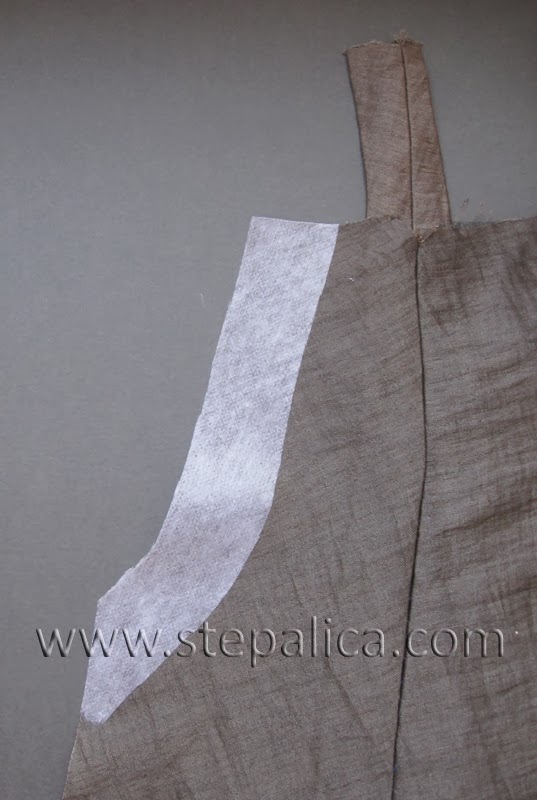 This way, you'll have a clear and defined shape of the pocket opening and you'll be able to set the trim band parallel to it. Also, you'll be able to access the skirt panel easily. 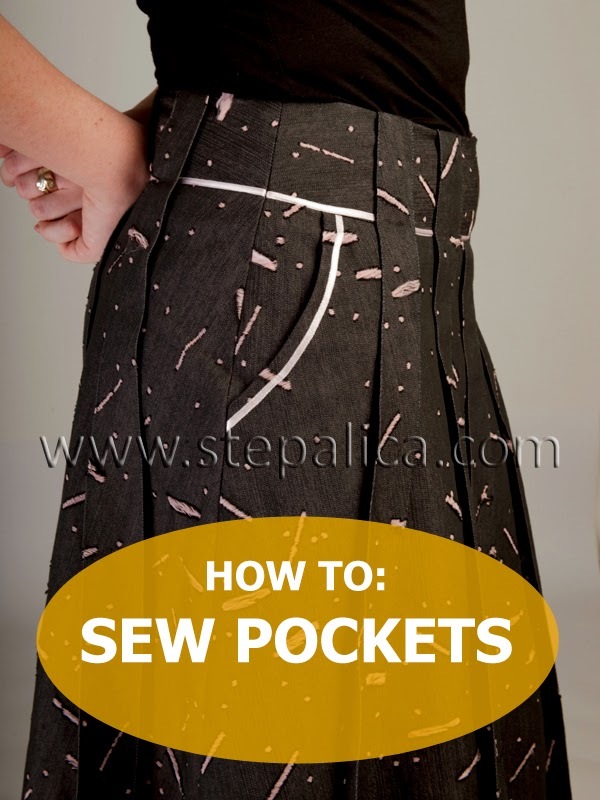 From this point on, sew the pocket as it's described in the above text. 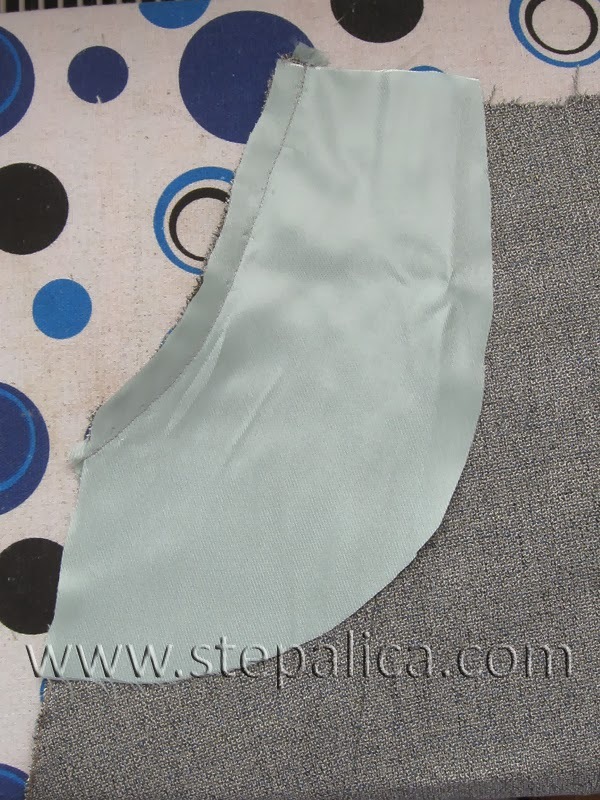 Tomorrow we'll attach the waist yoke to the skirt panels and assemble the skirt, thus prepare it for inserting a zipper.